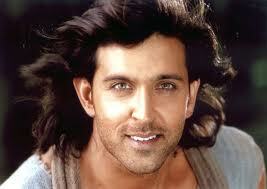 He transends the barrier of time.Or it so seems because for Hrithik Roshan,2012 began with a bang and ended with a bang. In the beginning of the year,his film Agneepath was a hit and now when this year is about to roll by,London based weekly Eastern Eye rates him as the sexiest Asian man in the world. Reports say in the poll based on a survey,Hrithik outmatched the likes of Shah Rukh Khan, Salman Khan, Akshay Kumar, John Abraham and Ranbir Kapoor to clinch the top spot. A report further said:”While he beat Pakistani singer-turned-actor Ali Zafar who ended as the runner up, Salman finished third and last year’s runner up Shahid Kapoor come fourth. However, newcomer Sidharth Malhotra was the new entrant clinching the fifth place beating TV star Kushal Tandon at sixth, Shah Rukh Khan at seventh place followed by John Abraham at eight and Ranbir at nine. Page rendered in 0.0791 seconds.